And then... off on our travels again! 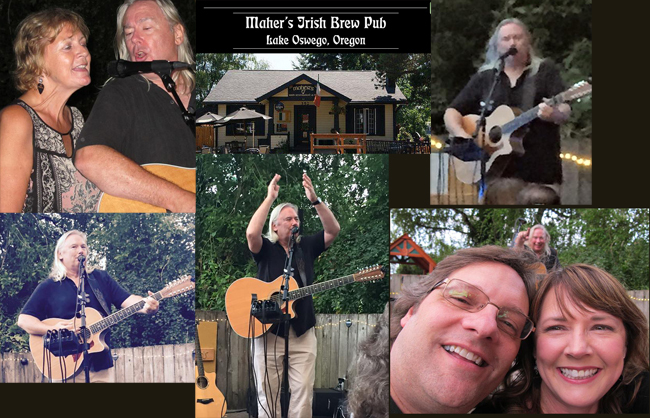 The Pirates party in Bend was brilliant - I played bodrahn for most of the 5 Pint Mary songs - they played a great couple of sets - what a fantastic band - and a pleasure to play with. I also played a set of my own - which went down a storm... aaaarrrr!! I managed to break my ankle just before heading to Wisconsin to see Kyle & Lauren. That was a pain in the foot! I hobbled everywhere on crutches wearing a huge boot on my right foot. Dorothy did a great job of driving everywhere - 1st class roadie :)... and the great Wisconsin beer, brats and cheese curds helped too! 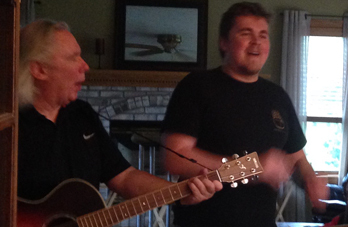 It was great to see Kyle again with Lauren and most of her family... with of course some songs, beer, cheese curds and dairy queen ice cream to keep us going! The Bethany pub night was really good - the place was packed (thanks to Michelle's superb promotion) and we had a really great crowd just ready for a party. It had a Celtic theme and we all had a ball. We probably could have done without the whisky back at Michelle's - but it was great at the time- a very nice night! 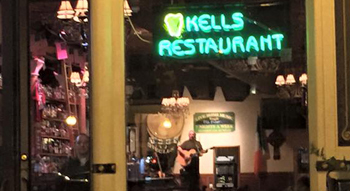 I have been playing in Kells Irish pub from Sunday Oct 11th to today (Thursday) it's really been amazing to see how the pub ebbs and flows with people. 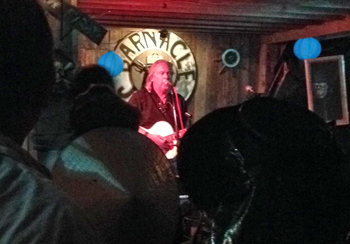 Each night I have had groups happy to join in the fun and I've met a lot of enthusiastic people. Daniel from New Zealand - rattling bog will always be your song from now on (if I ever play it again:) )! 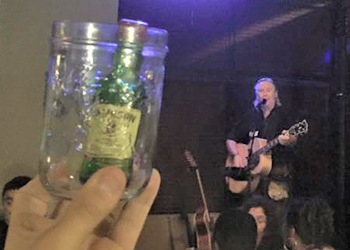 Fergus's masterpiece - "Whisky in the jar"
After tonight's gig at Kells I'll be back to Mahers Lake Oswego on Friday (Oct 16th) for my last appearance in the Portland area this year. It hardly seems like any time since I was arriving back all excited at the summer ahead of us in the Portland area... and now, in a week, we're off again - with many great memories of a great summer amongst friends and family. 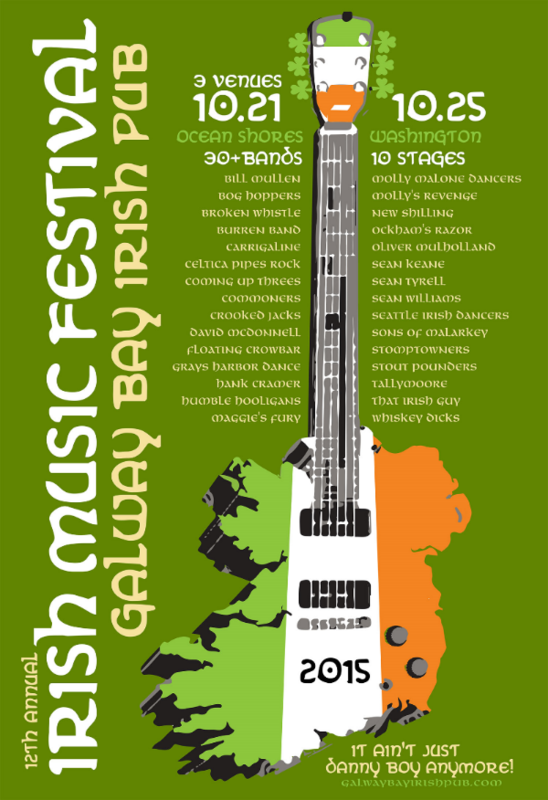 The Ocean Shores Irish Festival (Oct 21 to 25th) looks like it will be a great 5 days of music and fun. I'm playing Wednesday to Friday then just hanging out enjoying the festival on Saturday - I'm looking forward to meeting lots of great people there. We hit the road again on Sunday October 25th from Ocean Shores, WA, heading south for San Francisco on Friday where we will stay a few days with friends before heading to Dundee, Scotland... and my 60th BIRTHDAY PARTY!!! 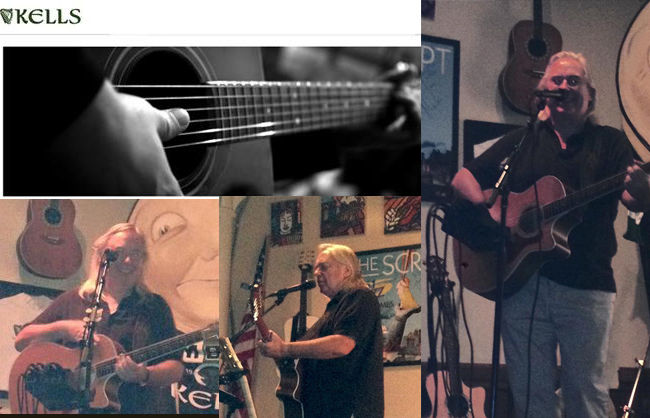 I'm beginning to get bookings for next year -our plan after returning from Europe is to be in San Diego until end January, travel February playing on the way to Florida for St Patricks celebrations then make our way back via Las Vegas in time for the Newport Oregon Celtic festival in June 2016... should be fun! Watch this space for stories from the road - next month I'll be sending an update from Bonnie Dundee, Scotland ... and I'll be a year older!! !